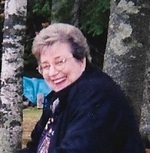 Mary C. Crane, age 78 of Long Lake, previously of Mound, MN, passed away on February 23, 2018. Preceded in death by parents Leo and Margaret, brother Dale and sister Muriel. Survived by her loving husband of 59 years Vernon; children Debra (Greg Lance), Diann (John Malotky) and Tim; grandchildren Megan and Nicole Malotky; brother Kenneth Virnig and numerous family and friends. After graduating from St. Margaret’s Academy, Mary married Vern in 1958 and they were blessed by three children. They raised their family in Mound where summers were spent swimming at the Surfside beach, ice skating and fishing from the shore of Lake Minnetonka. Mary loved their vacations at both her parent’s cabin and the one she and Vern purchased near Bigfork, MN. Mary retired in 2003 as a deputy registrar at the Ridgedale Service Center. Mary had a deep spiritual life and frequently volunteered at church where she could be found teaching, serving donuts and perusing the library. One of her favorite poems, Ithaka, speaks to life’s journey as one filled with marvels, joys, dangers and inspirations. While her health waned the past few years, she maintained an upbeat spirit, full of tenacity and positivity. Yes, Ithaka did not fool her, she found wisdom, had a life full of experiences and understood what the journey to Ithaka truly meant. A Mass of Christian Burial will be held on Thursday, March 1 at 11:00 AM with visitation one hour prior at Our Lady of the Lake Catholic Church, 2385 Commerce Blvd. Mound. Interment immediately following service at OLL Catholic Cemetery.